This was the final film that was a major contender in this year’s awards season that I had yet to see. In retrospect, though an enjoyable flick, I’m not upset we missed this one in the theaters. George Clooney plays Matt King, a real estate attorney who lives in Oahu, Hawaii. More importantly than his profession, however, is that he belongs to a family who has a long-line of land ownership on the Hawaiian islands, specifically on Kauai, that has been set up in a trust for years. The large land ownership is what is left of a royal inheritance his great-great-great grandmother received in the 1860s from her lineage in the Hawaiian royal family. With just seven years until the trust is absolved and being the primary beneficiary, Matt, along with his cousins, are planning a sale of the lands that will make all of them multimillionaires. During this process, however, his wife, Elizabeth (Patricia Hastie), is put into a coma from a boating accident, which leaves Matt to also deal with raising his semi-estranged children, Alexandra(Shailene Woodley) and Scottie (Amara Miller). Around the same time that he learns of Elizabeth’s imminent death because of her will, which states she doesn’t want to live in a persistent vegetative state, he also learns from his daughter that his wife was having an affair and planned to leave him anyway before the accident. All of these personal events begin to reshape his perspective as he tries to cope with this newfound knowledge. I have a love/hate relationship with Alexander Payne’s movies. There are some that are just totally boring to me, like About Schmidt; then there are others that I absolutely adore, like Sideways. This film fell somewhere in between. As a whole, it was an enjoyable and interesting character study set in the beautiful Hawaiian islands, but I have to admit that there were several times I looked at the clock during this film. 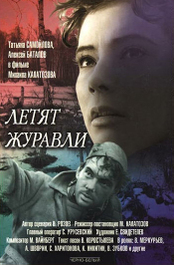 As with most of Payne’s adaptations, the film did have a tight script and actually won the Oscar for Best Adapted Screenplay, Payne’s second in that category. 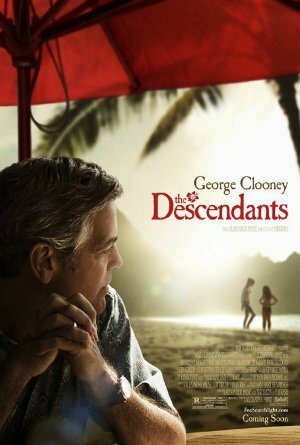 Clooney’s performance is a high point in the film as he manages, quite successfully, to transcend his movie star persona and is very believable as every-man Matt King. The inner turmoil of the character plays out nicely and, as an audience member, its quite easy to feel the empathy needed for his character that makes the film itself succeed. Personally, I could have shaved 15 minutes out of the third act and been happier with it, but all-in-all, it was a solid production with a great performance by Clooney in the lead.